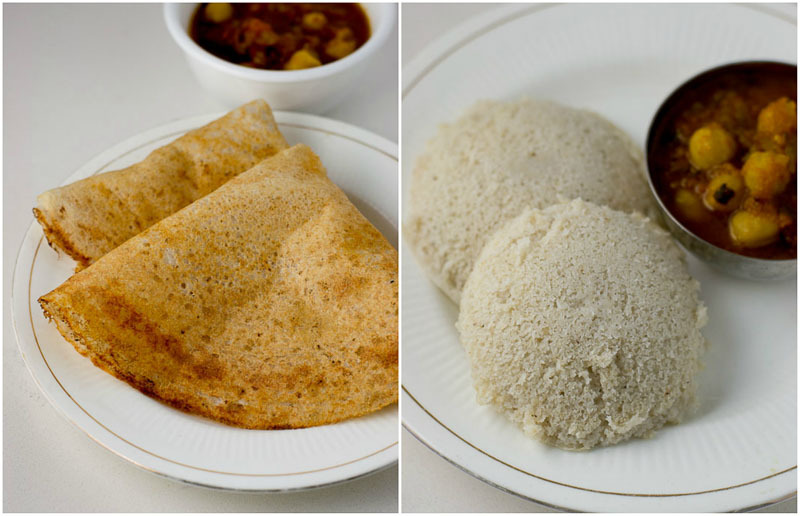 Chola dosai and chola idli batter recipe. 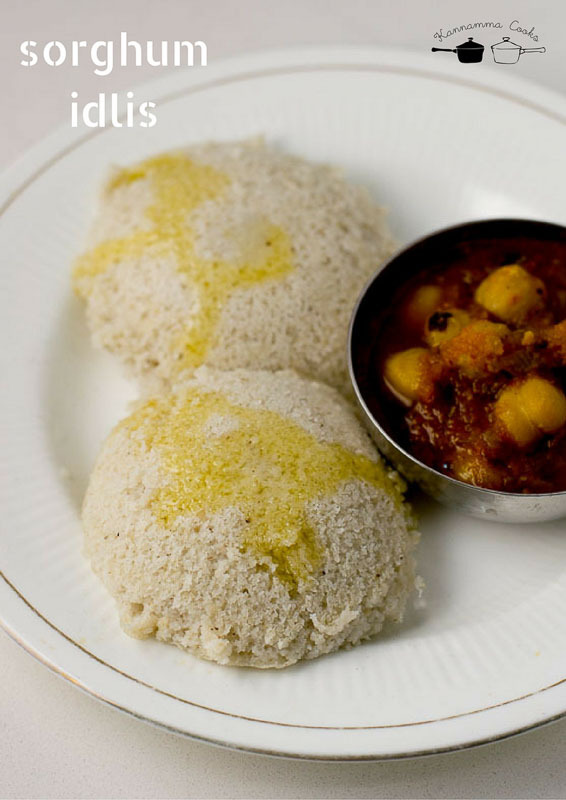 How to make fermented sorghum idli-dosa batter. Recipe with step by step pictures. We made Chola dosai for breakfast today. Many readers confuse between vellai cholam (sorghum millet) and makka cholam (corn). They are two different things. 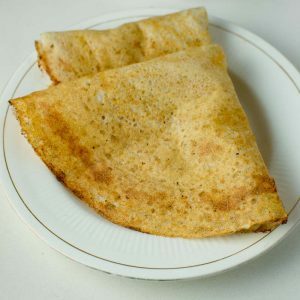 Chola dosai is made with sorghum millet. 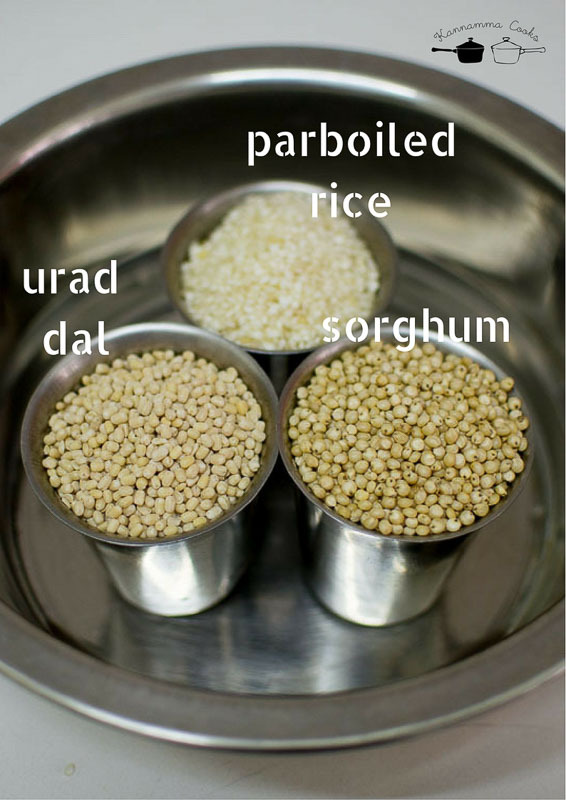 Sorghum is also called as the big millet and looks similar to Quinoa. Its an extremely healthy grain and is also gluten free. 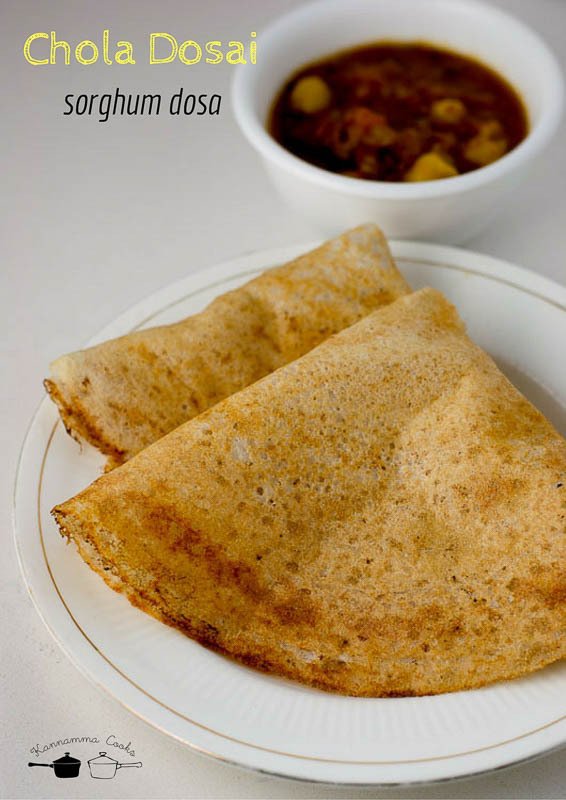 Here is how to do Sorghum millet dosa. We will need equal quantity of urad dal, parboiled rice (idli rice) and sorghum millet (vellai cholam) for this recipe. Wash and soak the grains in water for 4-5 hours. Sorghum millet is a very tough millet and it needs at-least 4-5 hours to soften a little. If you have the time, soak the grains overnite. It works best. I have used a wet grinder for grinding the batter today. You may use a mixie too! Drain the water and add the soaked grains to the grinder. Add water little by little while grinding. Grind the batter for half an hour in the wet grinder. Add 2 – 2.5 cups of water while grinding the batter. Add in the salt to the grinder. After half an hour, stop the grinder and feel the batter. The batter should be smooth. Remove the batter to a bowl. Cover the batter with a lid and allow it to ferment for 4-8 hours. If you live in a hot place, the batter will ferment in 4-5 hours. The batter will rise during fermentation. The Cholam Idli-Dosa batter should have increased in volume after 4-8 hours and should look foamy. Mix well using a spatula to release the foam. The Cholam Idli-Dosa batter should not be very thick. If the batter is thick, add some water to dilute. The batter should be the consistency of regular idli dosa batter. At this stage, if not using right away, the batter can be refrigerated for up-to two days and used accordingly. Heat a dosa pan / griddle until hot for making Dosa. Let the flame be at medium. Pour a ladle of batter onto the griddle. Using the back of the ladle spread batter into a round. Sprinkle 1/8 teaspoon of oil onto the pan. Let it cook for 30 seconds until the sides are brown and little brown spots start to appear. 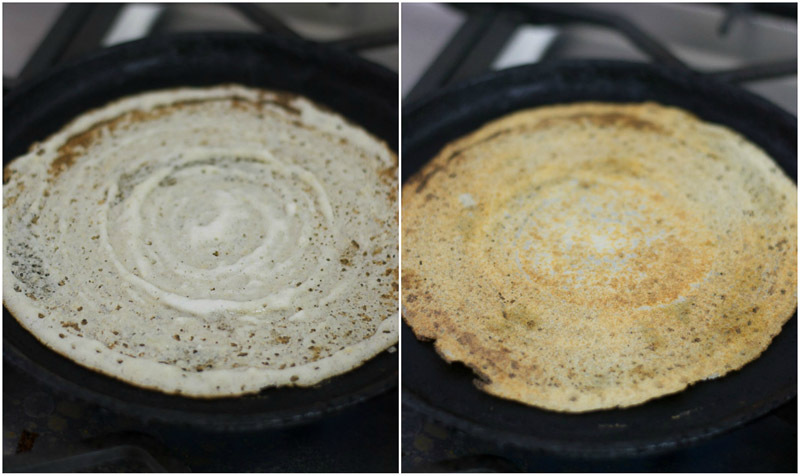 Flip carefully with a thin metal spatula, and cook the millet dosa until browned. Up-to 30 seconds more. 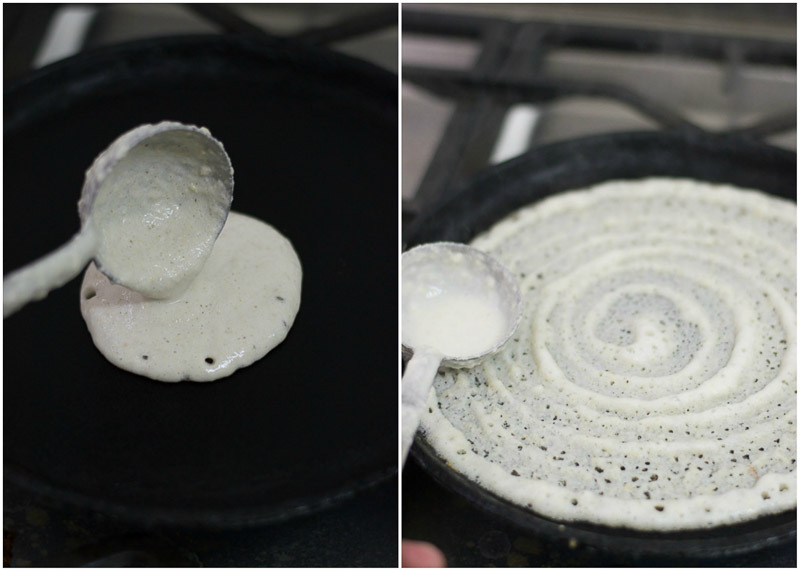 Transfer the millet Dosa to a plate. Continue with the remaining millet dosa batter. I also made idlis with the same batter and were really soft. I added a little ghee to the idlis and the sorghum idlis were சொர்கம் (sorgum in tamil means heaven). Wash and soak the grains in water for 4-5 hours. Drain the water and add the soaked grains to the grinder. Add water little by little while grinding. 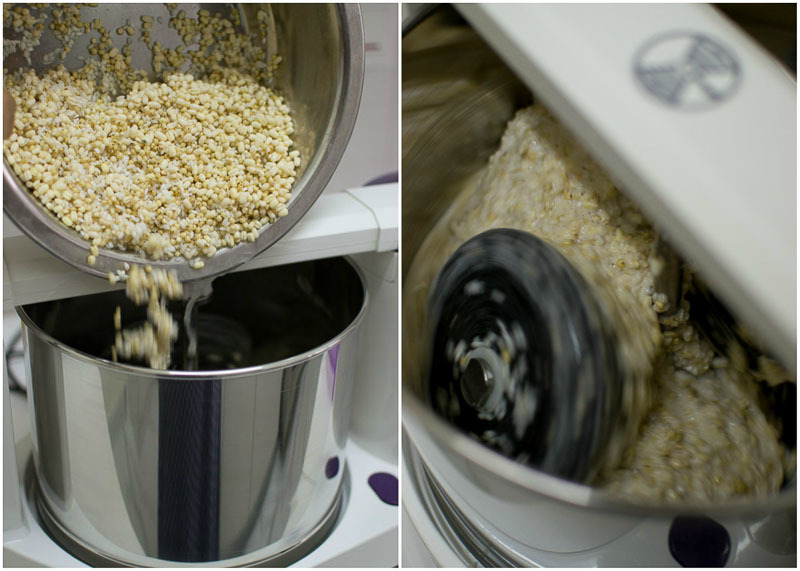 Grind the batter for half an hour in the wet grinder. Add upto two cups of water while grinding the batter. 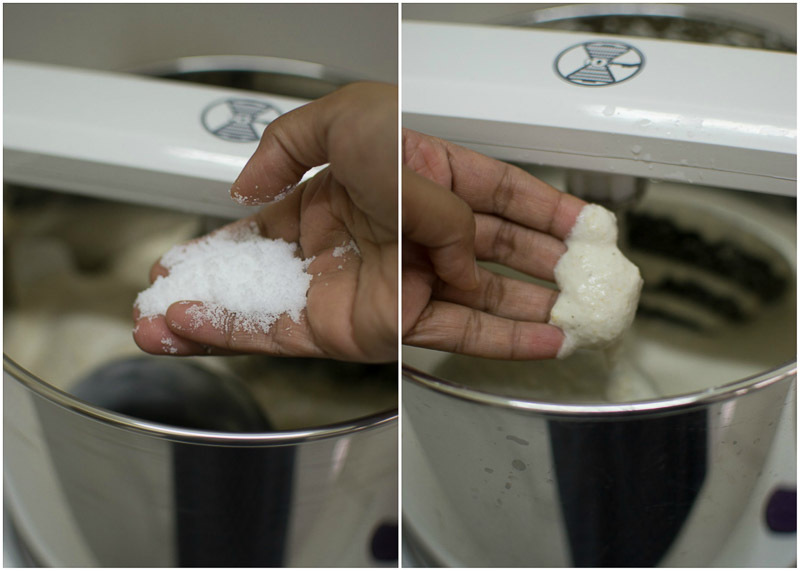 Use the batter to make idli and dosa. The batter can be refrigerated for up-to two days and used accordingly. I have a doubt… Usual idly batter will be in the ratio of 4:1 I believe. But here we are using 3:1. Can we go by the regular measurement? If not could you pls explain on y this ratio used!? Should we grind millet, rice and dhal together? Thats right! You can grind the dal separately too if you are particular about it! 1. Should we add rice as mandatory or can we replace with Sorghum itself or any other Millet will work? 2. 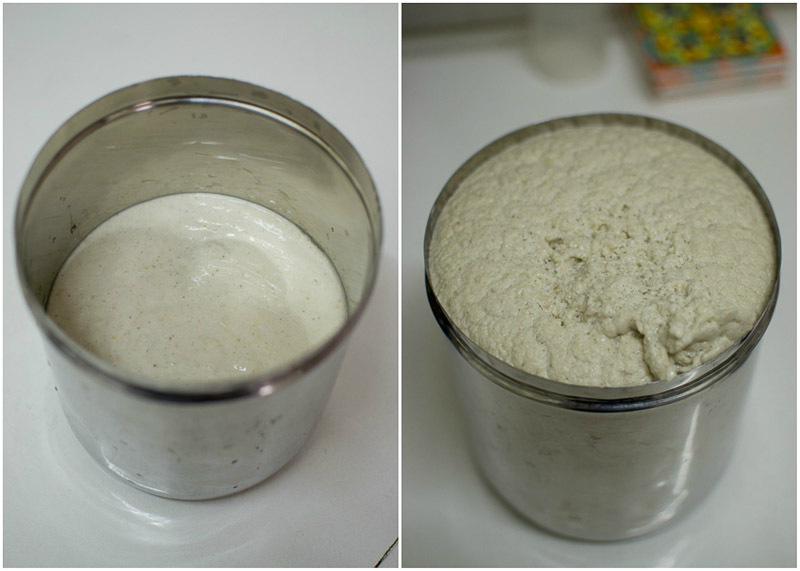 Can we keep this batter for 4-5 days like regular idli-dosa batter? Yes you can do it entirely with sorghum but the texture will be a little dense. This batter does become sour soon. So 2-3 days max! Hi, What is the side dish for the Idly. looks yummy. You can have this with kaara chutney or coconut chuthey.